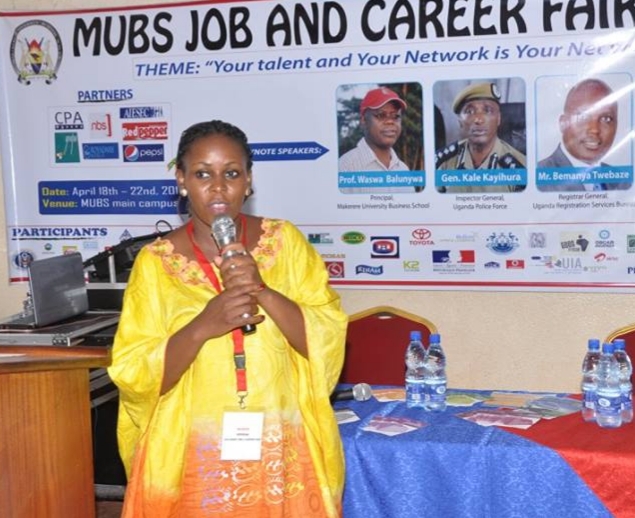 Ms Maureen Tweyongyere, MUBS Careers Centre Director. NAKAWA – Students at Makerere University Business School (MUBS) have Tuesday, April 09 been tipped to engage themselves in innovative ways of job creation if the country is to curb the escalating problem. 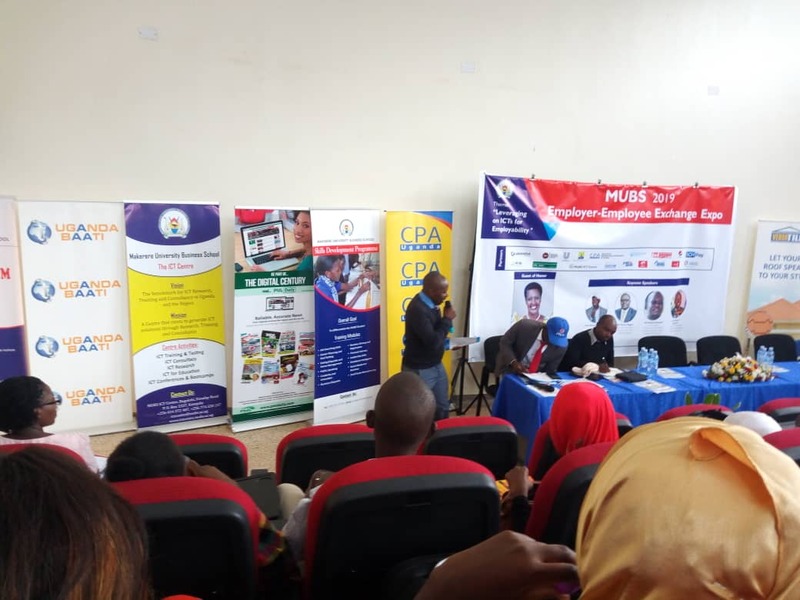 This was during 9th edition of Employer -Employee Exchange Expo 2019 (EEEE) being held at the Nakawa based university. 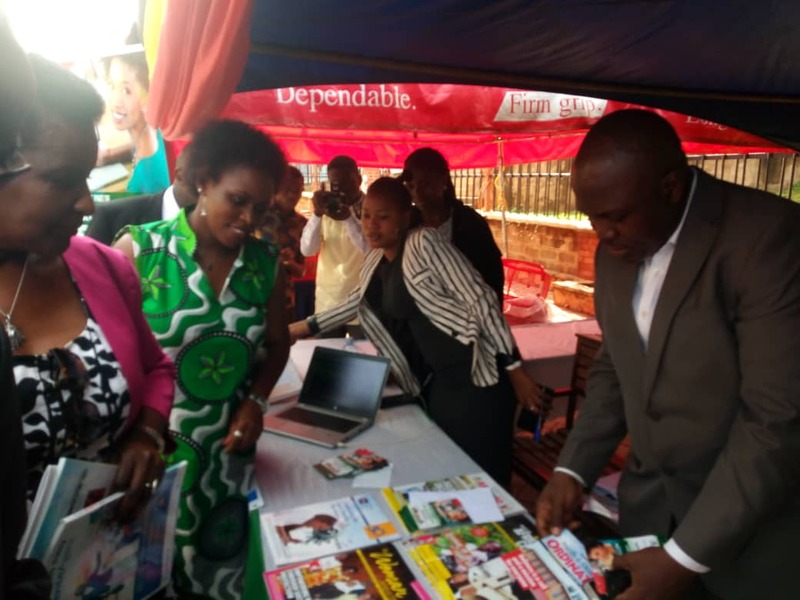 Organized under the theme “leveraging on ICT for employability,” the expo hosted by Makerere University Business School (MUBS) career skills development programme and sponsored by PML Daily, CPA Uganda, Uganda Baati, The Red Pepper, School Pay among others. PML Daily Editorial Director Alex B. Atuhaire, a senior journalist with over 20 years of experience in journalism and business sectors encouraged students to prepare themselves of the future where more technology than human labour will be required to do work. He appealed to students to be open-minded, think creatively, have empathy and be innovative. “Innovation is very key now as you’re aware, a lot of students graduate every year but the jobs are few,” he said urging them to always think outside the box and be innovative. Ms. Amelia Kyambadde, the Minister for trade, industry and cooperatives will grace official opening of the event on Tuesday afternoon. Prof. Waswa Balunywa, principal MUBS, Mr. Vincent Bagira, the Permanent Secretary Ministry of ICT and National Guidance, Mr Mondo Kyateeka, the Commissioner children and youth affairs Ministry of gender, and Mr. Arinaitwe Rugyendo, Director Marketing, Red pepper Publications Limited will provide the key note addresses. The MUBS Career and Development Centre was established to fill the mismatch between the education system and the skills by creating awareness among students of career available on the market. The center arranges skills training in different areas to prepare students for the world after work. The weeklong event sees students trained in selected skills and employers are invited to showcase their activities and talk to students about possible employment.